Protagonist Grace Lisa Vandenburg has been “counting things” since she was a young girl, and by “counting things” I don’t mean “inventorying pool filters,” but that she’s high-functioning OCD. High functioning in that as long as she sticks to a routine, she can leave her apartment and do things. . . to a point. Her routine is pretty specific though – she goes so far as to remove two eggs from every carton because she has to have TEN not TWELVE, and she steals a banana from a guy at the grocery store because she miscounted and is already in line. When the same guy is at her table at the cafe where she goes every day for a slice of orange cake and a hot chocolate, Grace has to break out of the comfort of counting. The two fall into a quirky relationship, and the Boy even gets her to try therapy again. But her niece, and closest confidant isn’t thrilled with well-adjusted Grace, preferring a blend of the original version and the one that has been through therapy. 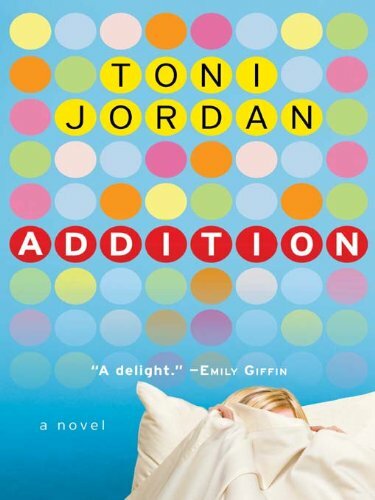 Toni Jordan’s characters are delightfully quirky, and her glimpse into the mind of someone with OCD is both interesting and enlightening. The novel is paced a little slow, at first, but then it gets better, and the end is satisfying, but let’s be clear: this is summer reading at it’s best. Goes well with: A slice of orange cake and hot chocolate, obviously. 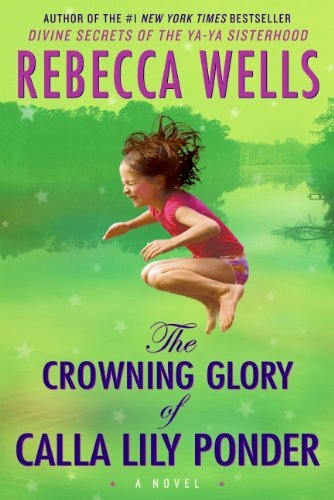 I don’t remember when I was first introduced to Rebecca Wells’ work, though I know I read The Divine Secrets of the Ya-Ya Sisterhood years before there was ever a movie. Maybe even decades. It should, therefore come as no surprise that as soon as I first saw her latest book The Crowning Glory of Calla Lily Ponder, I had to buy it. What is surprising, is that I never saw the hardcover when it came out a year ago, so my first introduction to this new world was when I saw the trade paperback on the “new in paperback” table at Barnes and Nobel a couple of months ago. Like Wells’ other work, Calla Lily’s story is set in Louisiana, and features strong women characters, but Calla’s story is nothing like the Ya-Yas, petite or original. Calla grows up with parents who are completely in love with each other, and love her and her brothers just as strongly. Together, her parents teach dance lessons, and run a sort of open dance studio on weekends. Her father is a musician, sometimes, and her mother also owns the single chair “Crowning Glory Beauty Porch.” Calla inherits from her mother a love of the moon, and the ability to be a catalyst for healing when she does hair. If that latter concept sounds far-fetched, consider how much better most of us feel when we have a really good shampoo girl at the salon, or an amazing new cut, or change our hair color in just the right way. Early in the story, Calla’s mother develops breast cancer, and dies, and her father shows himself to the be sort of quietly supportive, fiercely devoted parent that deserves every gift from the redenvelope father's day guide, and then some, but he also retreats into what is essentially a background character. The rest of the novel is Calla’s and we trace her journey from high school in her small town, to New Orleans in the early 1970’s where she goes to beauty school and becomes fast friends with Ricky, the best stylist and salon owner in town, and his partner, Steve (which combination of names seems ripped right out of that Steel Magnolias line about “all gay men have track lighting and all gay men are named Mark, Rick, or Steve”). She falls in love, marries, loses her love, and generally has the kind of touched-by-luck-and-love-and-magic life that can only be found in novels written by Southern authors. Because this is essentially the autobiography of a fictional character, it’s difficult to give an adequate synopsis, but the book is enjoyable, with several laugh-out-loud (no, seriously, for real) moments. Goes well with sweet tea and gumbo. While I’d like to think I make all my own decisions, the reality is that everything I use, from anti wrinkle cream to books to hair styling products is at least partly influenced by my friends – we talk about it all, you know? True confession: I’m nearly 40 and my mother still has the power to destroy me if she doesn’t like my hair, clothes, or home decor. Books however, are the area where I’m least influenced. Partly this is because I tend to read very quickly, when I’m in a reading mood, and partly it’s because I usually know what I want, but sometimes, my friend Deb will get a book to review, and hand it off to me when she’s done, and I’ll often do the same. I tend to hand off more books than I receive, but that, again, is because I read quickly. And because I’m an addict, and I like to BUY my books, because the ones from the library smell like old people, and not the kind of old people I want my books to smell like. Sorry for the rambling answer. 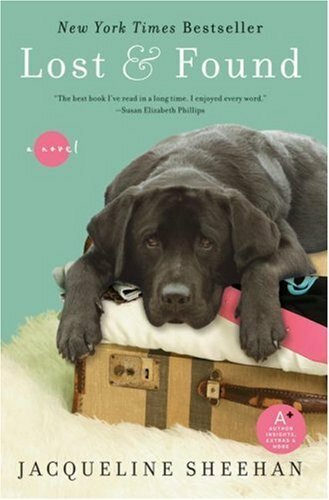 Because I’m a sucker for a cute face – especially when the face belongs to a dog with a number like ls4278 instead of a name, there was no way I could pass by the trade paperback edition of Jacqueline Sheehan’s novel Lost & Found. After all, there’s a cute dog on the cover. This dog, however, does not have a number instead of a name. When protagonist Rocky loses her veterinarian husband in the opening chapter, she decides to leave her job as a psychiatric counselor attached to a local university, and moves to a remote island in Maine to become the animal control warden. Once there, she meets Isaiah, the local vet, Tess, the local therapist, and Melissa, a young girl struggling with anorexia. She also meets Lloyd, after rescuing him from behind a dumpster, where he’s nursing the infected wound caused by an arrow. Lloyd is the dog on the cover, a black lab who eventually serves as the catalyst for healing and change among all the women in the story. This is a gentle novel, and I’m reading it on vacation, so even though I’m enjoying the story, it’s making me miss my dogs, more. Goes well with an animal to cuddle. So, you’re given a prepaid visa with a balance of $100, and two hours in your favorite bookstore. What do you buy? The hardcover new release that everyone’s talking about but has been out of your budget? A stack of magazines you’d never normally be seen in public with? Or an old favorite remembered from childhood. I’ve been known to do all of the above on various shopping trips, or none. I’ve been known to buy seventeen books, and sometimes just one. But hands down, my favorite place to begin is the New Fiction section. I love discovering authors when their work is new. Sometimes, I build lifelong relationships with them – I’ve been reading the Pink Carnation series since day one, for example, and I was reading the Anita Blake series years before it had gained any popularity – when it was being released only as mass market paperbacks, in fact. So, if you’re reading this, tell me: what’s your fantasy book buying spree? I’m watching the current episode of Glee as I write this (DVR’d earlier) and am trying to dash this off before it resumes. It’s been a pajama day for me, as I’m not feeling well. Again. I didn’t even read, but I have a stack of stuff waiting to be read. 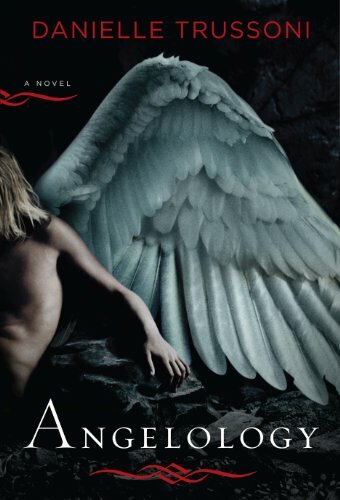 One of the books in question, is Angelology by Danielle Trussoni. Suddenly a hot, sticky substance seeped over the skin of my palms. Lifting my hands, I squinted, trying to determine what had happened. A gummy golden film, transparent and glistening as honey, coated my hands, and when I held them up in the light of the angel’s skin, the substance refracted, scattering a reflective dust over the cavern floor, as if my palms were coated in millions of microscopic crystals.